It feels like forever since I posted a new recipe, but lately I’ve been baking old favorites and re-working recipes that needed better directions or photos. It’s been a fun process, and along the way it’s helped me pinpoint some tried and true favorites and fail-proof (or almost) recipes. So here are some recommendations for those of you who don’t have time to sift through my thousands of posts. 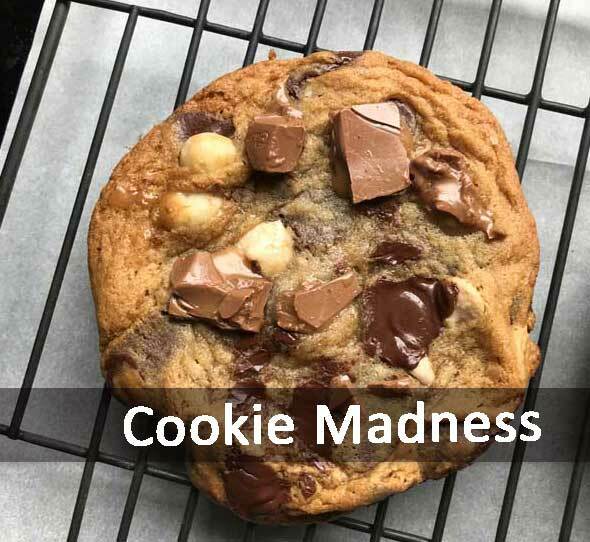 First up are Big Flat Chocolate Chunk Cookies, which I’ve decided are my new favorites — at least for now. They’re made with cake flour, dark brown sugar and dark brown sugar. They come out rather flat, chewy, and very flavorful. 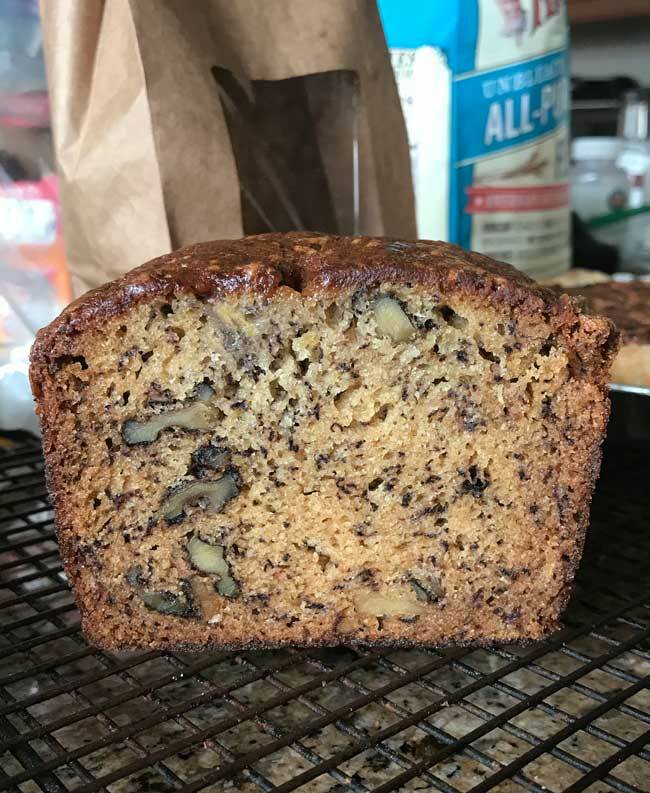 Best Ever Banana Bread is another one I can’t stop baking. This one lives up to its name because it’s easy, inexpensive and has a pretty long shelf life. In fact, I made a loaf for my mother, carried it all the way to Texas (raised some eyebrows with the TSA who are fervently inspecting snacks these days), and forgot to give it to her until a few days into the trip. It was still perfectly fresh. Cape Town Brownies are becoming kind of an obsession. So far I’ve tested with a few different brands of unsweetened chocolate and have found that Ghirardelli unsweetened (100%) was the best. It even beat Callebaut! 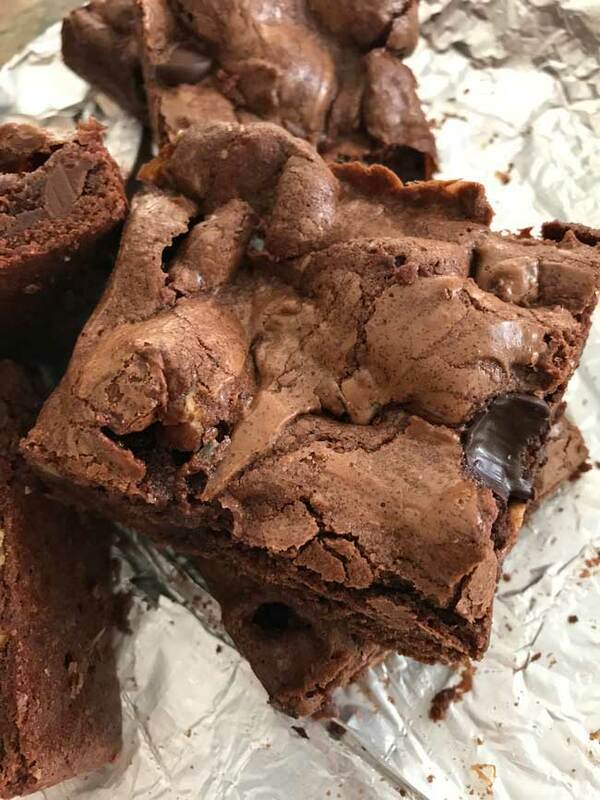 These brownies have an interesting texture, travel well and taste great. I want to try them with 99% Lindt, but that’s harder to find. 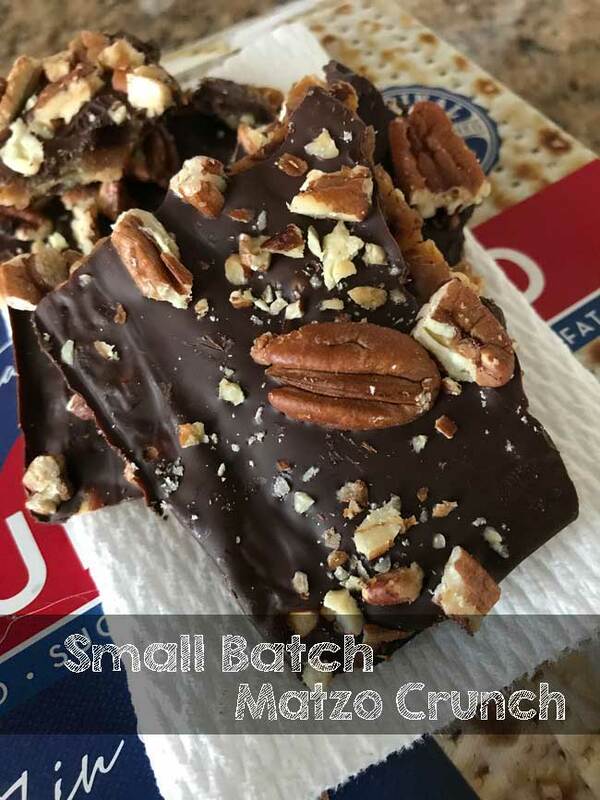 Okay, so a few people have mentioned they like the small batch recipes. 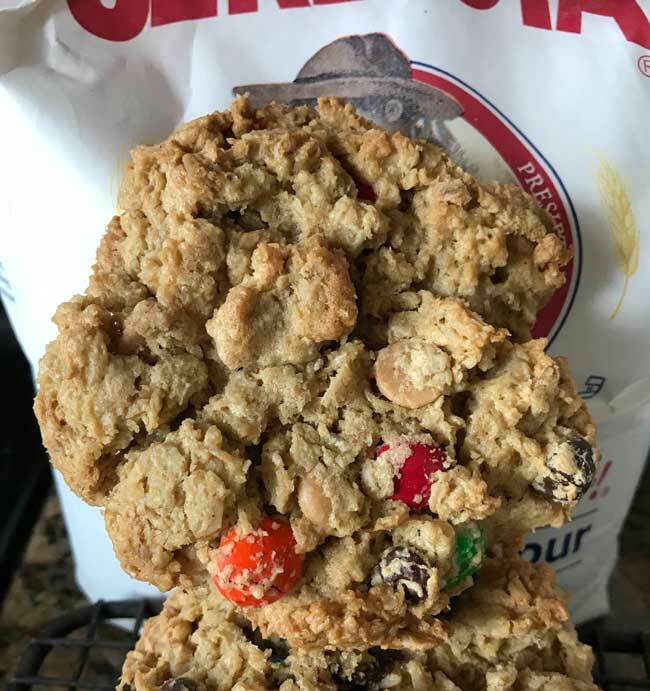 Ignore the old Halloween reference here and just make these Small Batch Monster Cookies. For the peanut butter I use regular Jif. I’ve never made Monsters with unsweetened. Also, bake time varies by oven and desired level of chewy/crispness. You already know that. I recently re-did this recipe because it desperately needed a new photo. The family wants me to make them again, so I guess they’re good — Cinnamon Rolls with Instant Yeast. I just like the new photo. 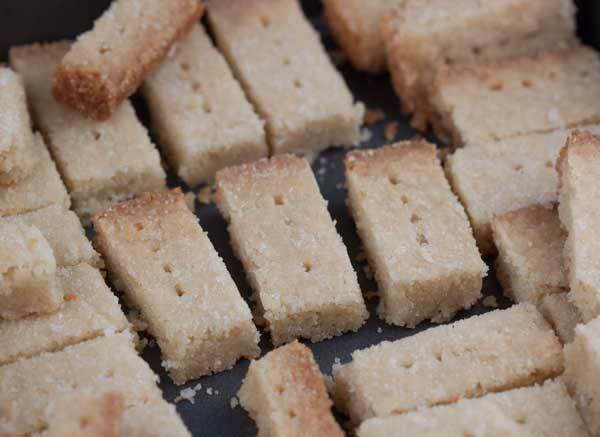 Shortbread can be boring, but this recipe is not, and I don’t know why I don’t make it more often. Oh wait, I do know. The secret ingredient is rice flour which sticks to my dental work and drives me bananas. It’s not really so bad here, so I bought a bag of rice flour, made the shortbread and promised to always keep rice flour around. Another nice thing about this shortbread is it’s made with melted butter so it’s easier than most. Scottish Shortbread Fingers. Please try. 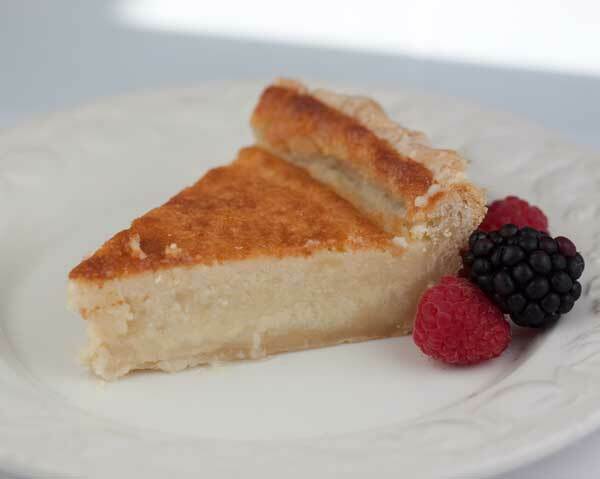 We went to a restaurant in Dallas where my nephew ordered Buttermilk Pie. It made me think of this recipe which I want my sister to make for him so he won’t have to order it at restaurants. I’ve also been thinking about this one since berry season is coming and since I like to serve this with berries. And finally, I recently learned that Matzo Crunch and Cracker Candy are the key to my daughter’s heart. This, along with a compulsion to visit grocery stores while on vacation, is an inherited trait. I used to always make the caramel for over the stove, but I’ve now discovered the microwave version which is just so much easier. Oh Emma! That was important information to share! Too funny and sounds like something I would do while laughing nervously. I have not been baking much but I always want to bake brownie. Definitely my comfort food of choice. I love this post. Lately I’ve been wanting to make cinnamon rolls and brownies. I’ve been on the run so much I haven’t been able to do any baking. 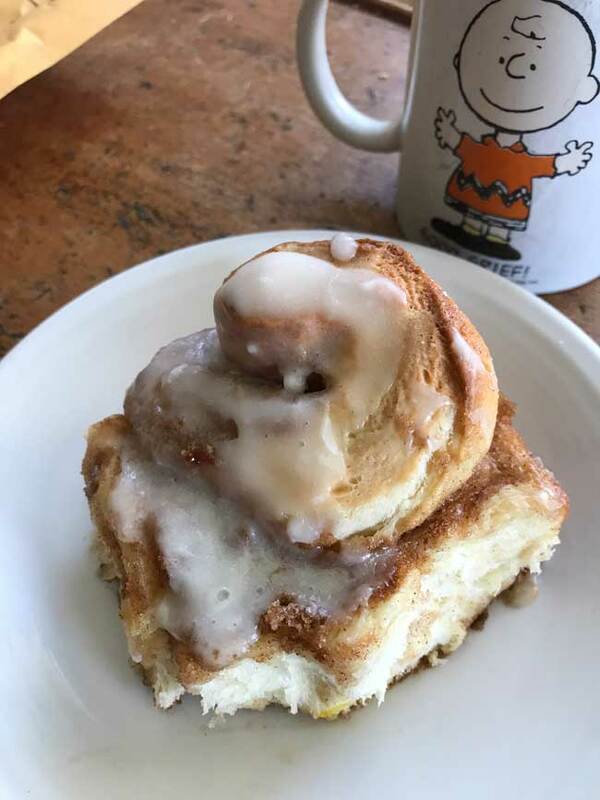 I also love your cinnamon roll photo. Nice work! The matzo crunch looks really good too. Who am I kidding? It all looks great!